Thanks for your excellent Alpha Five books. They have helped me increase my A5 skills considerably. Don't miss this . . . Don't miss this . . . Discounts on all Downloads - buy 2 or more and get 10% off! Check out the Combos & Bundles for great pricing on hard copy books! We've had a lot of great testimonials over the years, but this one tops the chart! Russ Brown says: "Someone else writes the songs that make the whole world sing but you write the books that make Alpha Anywhere shine:)"
All Alpha Anywhere books compatible with the newly released Version 4.0!!! 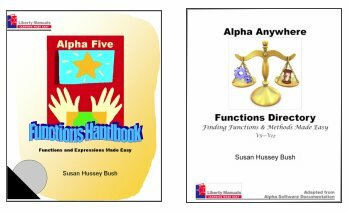 Alpha Anywhere & Alpha Five books . . .
Did you know that Alpha Anywhere is powered by Alpha Five V12? That makes all our books compatible, no matter what the name. All Alpha Anywhere books are compatible with the newly released Version 4.0!!! 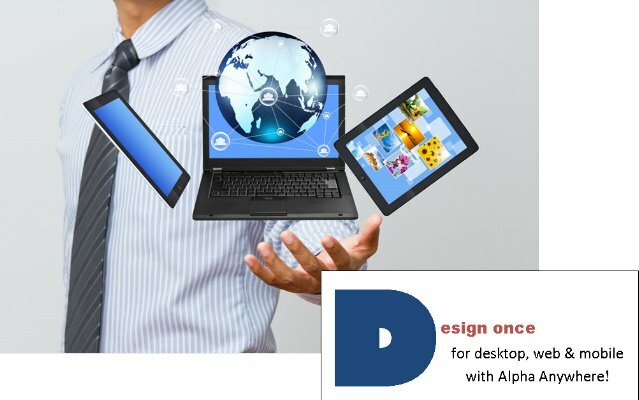 Just what you need to learn how to use Alpha Anywhere to design web and mobile applications. Pick up a copy of the Report Writer, too. 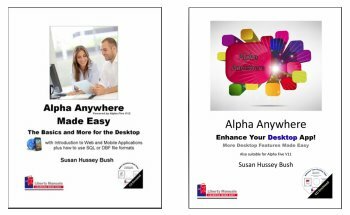 Alpha Anywhere Web & Mobile Made Easy for 3.0 - Volume 1 covers all the steps necessary to develop for web and mobile apps. For users of all levels, but does assume familiarity with databases (SQL and/or DBF). 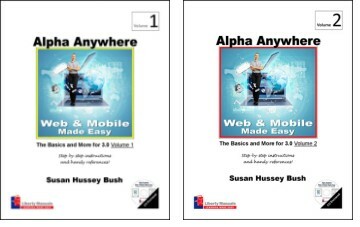 Alpha Anywhere Web & Mobile Made Easy for 3.0- Volume 2 expands on Volume 1. Covers List Control, Panels, Offline apps and more. For users of all levels, but does assume familiarity with Alpha Anywhere. We also have books on Alpha Five V11 and earlier. EVERYONE needs this book because EVERYONE needs reports and charts! 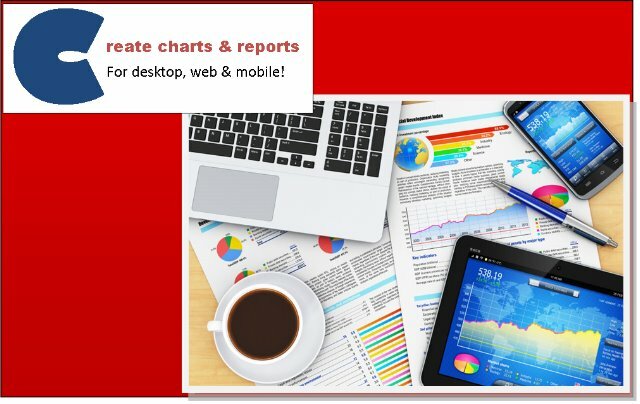 Alpha Anywhere Report Writer shows how to develop just the right reports for all types of applications. Desktop, Web and Mobile, this one fits them all. For users of all levels, but does assume familiarity with Alpha Anywhere, Alpha Five and/or SQL. These books teach how to use Alpha Anywhere on the desktop. Be sure to add the Report Writer above to complete the package. Alpha Anywhere Made Easy encompasses what you need to know in order to begin developing your own application. For users of all levels. Enhance Your Desktop App! covers material you will find useful during the development process. For users familiar with Alpha Anywhere / Alpha Five database development. 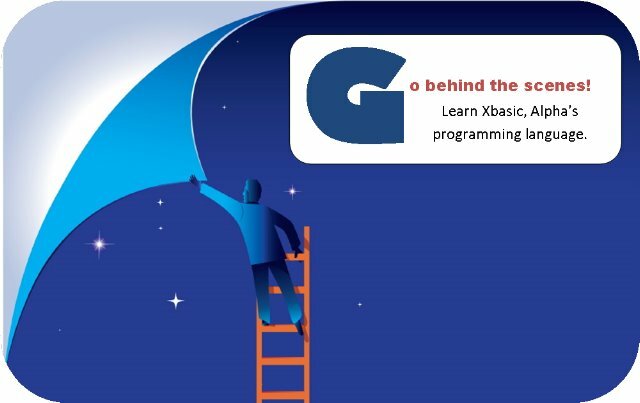 The Xbasic Toolbox shows how to use the many built-in options that make learning code fun and exciting. 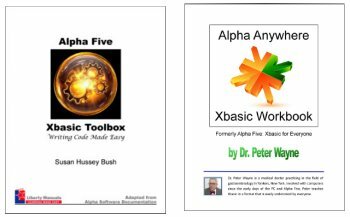 Alpha Anywhere Xbasic Workbook, by Dr. Peter Wayne, teaches the basic principles of writing code. Both books are fully compatible with Alpha Anywhere & Alpha Five. 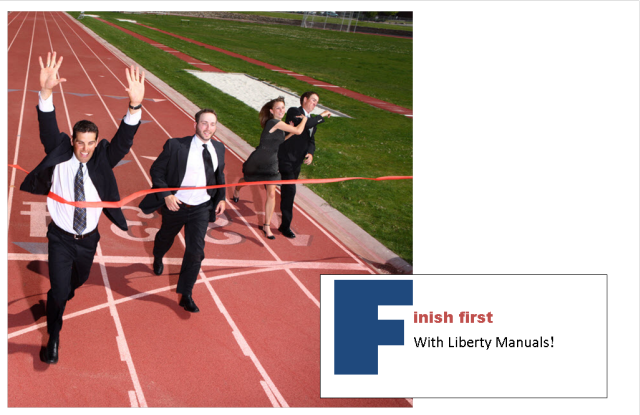 Alpha Five Functions Handbook explains the use of over 200 functions in layman's terms. For users of ALL levels. 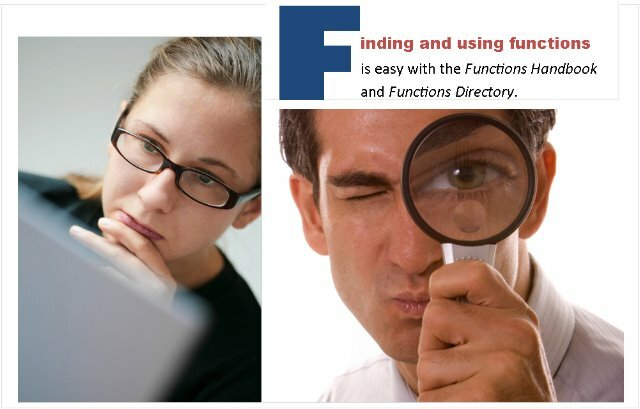 Alpha Anywhere Functions Directory presents all functions and methods in logical categories. Intermediate & Advanced users. Both books are fully compatible with Alpha Anywhere and Alpha Five. Alpha Software It has been our pleasure to have been associated with Alpha Software, Inc. for more than 20 years. ZebraHost When you get ready to deploy your web/mobile application, you have to contact Clive! Don't miss the ZebraHost special offer for purchasers of our web/mobile books! Click Here to read all about it!